Bourail is on the western coast of the island of New Caledonia, which lies approximately 1600 kilometres north of New Zealand. 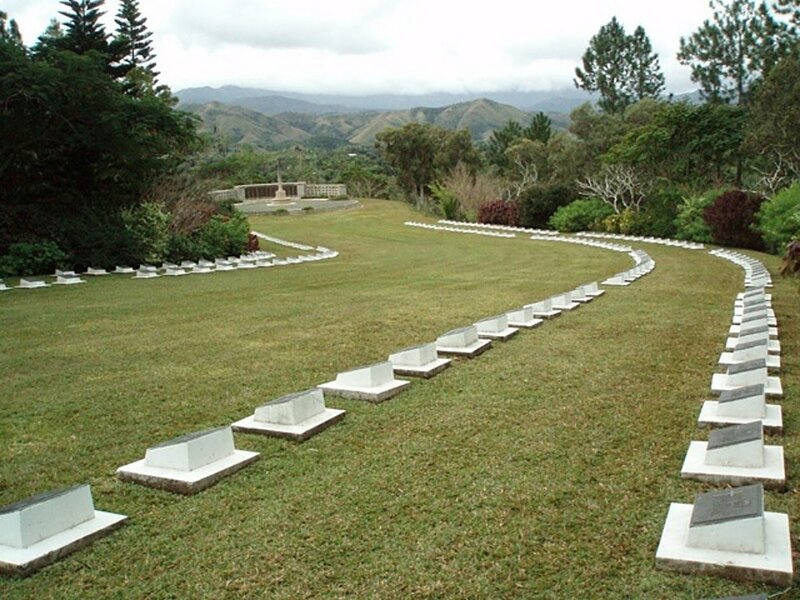 Bourail New Zealand War Cemetery lies about 9 kilometres south-east of Bourail, on the main road north and east of the Nera River, which flows into Bourail Bay. 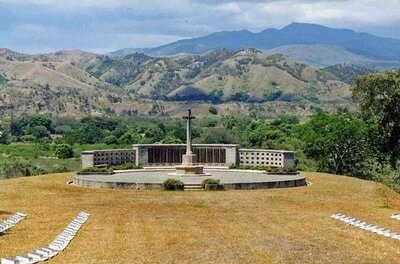 It was constructed by the New Zealand authorities for the burial of members of the New Zealand and other Forces who died in this area during the 1939-1945 War, and the remains of about 200 casualties were concentrated into the cemetery from 14 other islands in the South Pacific area, including Guadalcanal, Vella Lavella, Mono, Bougainville and other islands in the Solomons Group, as well as from other burial places in New Caledonia. 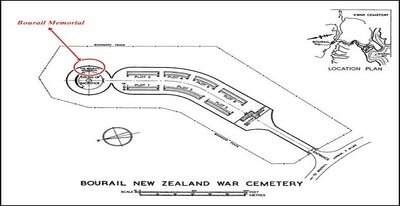 The entrance to the cemetery is on the south-western side and leads, through a terrace adjoining the Records building, to the wide central avenue which curves between two double rows of graves to the Cross of Sacrifice erected on a raised circular platform at the northern end. The island of New Caledonia was annexed by France in 1854. In 1942 the Allies used the island as a training ground for jungle and island warfare, and it was here that New Zealand forces prepared for the Solomon Islands campaign. The Headquarters of the South Pacific Command was established at Noumea, the capital, which became the principal United States base for the campaign and the largest forward Allied military and supply base in the South Pacific. 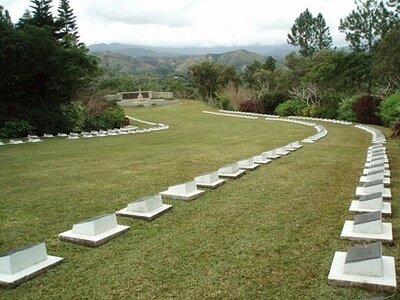 No.4 General Hospital was set up in Dumbea Valley, nearly 25 kilometres from Noumea. Bourail, on the west coast of the island, was the Headquarters of the 3rd New Zealand Division, which began to arrive in New Caledonia towards the end of 1942. 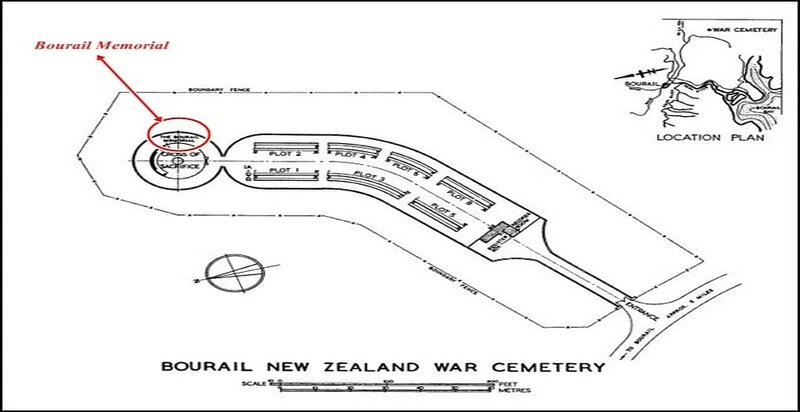 Brigade Headquarters and staging camps were disposed along the main arterial road on the western side of the island, where the principal defences were concentrated and where airfields were built to link the island with the battle zone and the bases in Australia, New Zealand, Fiji and other places in the Pacific. 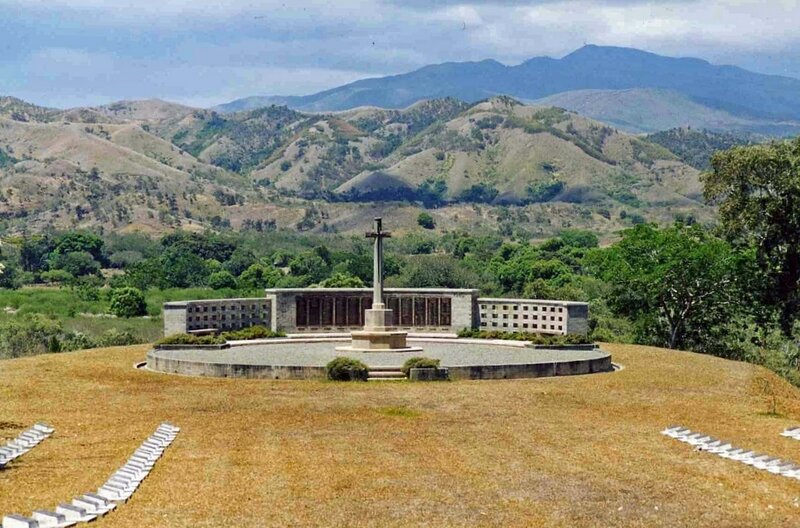 There are 246 Commonwealth burials of the 1939-1945 war in this cemetery, of which 4 are unidentified.Behind the Cross of Sacrifice stands the Bourail Memorial, commemorating over 200 members of the New Zealand Land and Air Forces and Merchant Navy and 169 members of the Western Pacific Local Forces who died during operations in the South Pacific area and who have no known grave. 28th October 1943 aged 29. Son of William Charles Gregory and of Florence Gregory (nee Avery); husband of Avis May Gregory, of Te Puke, Auckland, New Zealand. 5th June 1943, aged 33. Son of Henry James Wilkie Bradmore and of Lena Evelyn Bradmore (nee Honeyfield); husband of Iris Adeline Bradmore, of Hastings, Hawkes Bay, New Zealand. Sat 5 Jun 1943, PBY-5 Catalina NZ4006 took off at 0430 on a ferry flight from Fiji to New Zealand but failed to arrive at Auckland, no communication suggesting difficulty or an emergency being received. Three days later a boat found some wreckage of NZ4006 washed up on Dravuni Island 35 miles south. 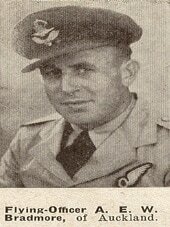 However, no trace of the seven crew or eight passengers including Flying Officer Alan Bradmore (age 33) was ever found. The limited amount of wreckage recovered proved insufficient to draw conclusions as to what might have led to the Catalina’s loss. All save one civilian on board are remembered on the Bourail Memorial.